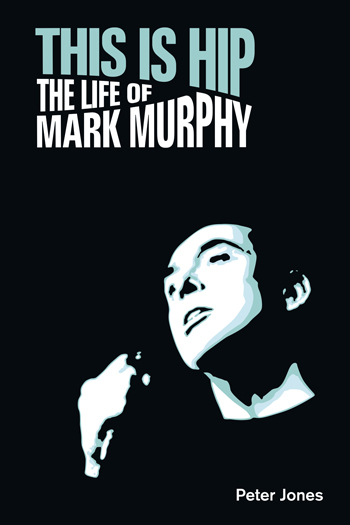 bebop spoken here: Book review: Peter Jones: This is Hip - The Life of Mark Murphy. The iconic and innovative jazz vocalist Mark Murphy’s life is documented excellently by writer (and jazz vocalist) Peter Jones in “This is Hip”. The reader really gets to know Murphy as an individual and musician in this well-researched and poignant portrayal of a unique artist. Murphy recorded around 50 albums during his long and varied career commencing in the late 1950s and continuing until 2013 before his passing in 2015, aged 83. His recordings included every imaginable setting - European radio orchestras, top NYC session players, Jazz Haiku based on the writings of Jack Kerouac and Brazilian repertoire to name a few. A musical polymath for sure, Murphy possessed a strikingly engaging baritone voice that warmed to the ear yet had a subtle edge to it that commanded the listener’s attention. Peter Jones has not only set his material in context but also writes insightfully about the music itself. A difficult balancing act as it can be enjoyed not only by a core audience of dedicated admirers but also by the general reader. To sum up, a stunning treatise on Murphy’s life which is an “all one needs to know” on a jazz rebel and revolutionary. With a biography of this quality which is honest and carefully researched, perhaps Mark Murphy will attain the wider audience that sadly eluded him when he was alive.